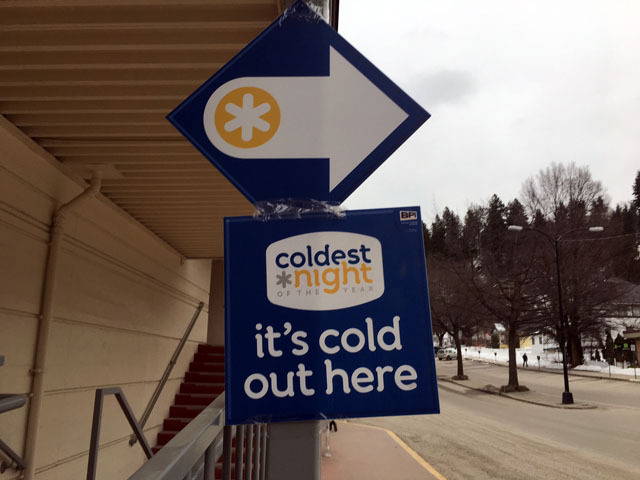 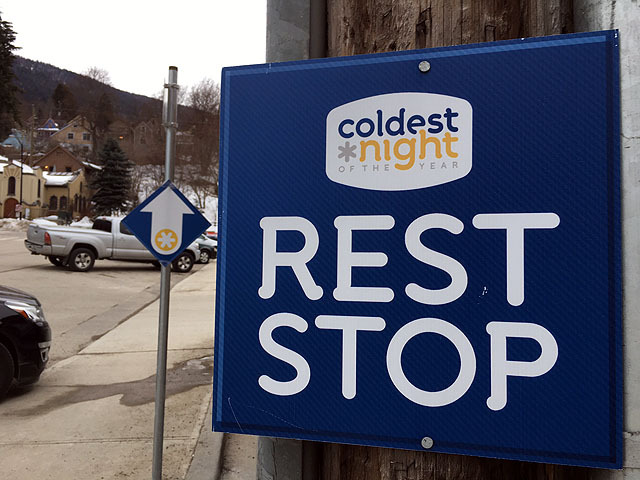 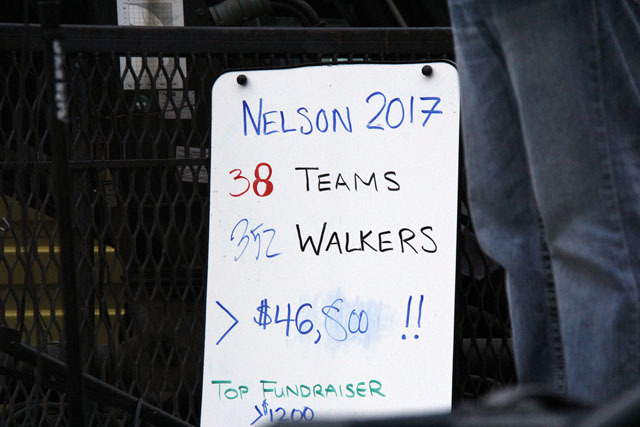 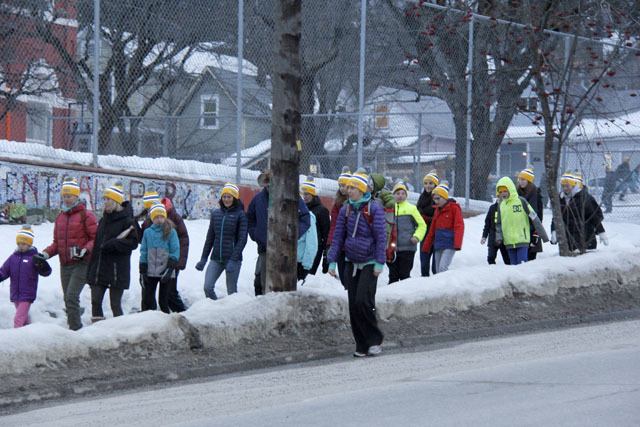 Hundreds of Nelsonites joined Canadians in more than 100 communities across the country to raise money for the hungry, homeless and hurting citizens during 2017 Coldest Night of the Year Walk. 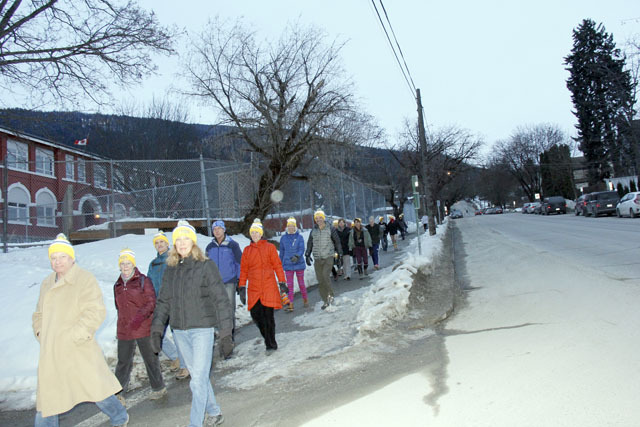 The super-fun, family-friendly event is held across Canada on the last Saturday of February, this year February 25. 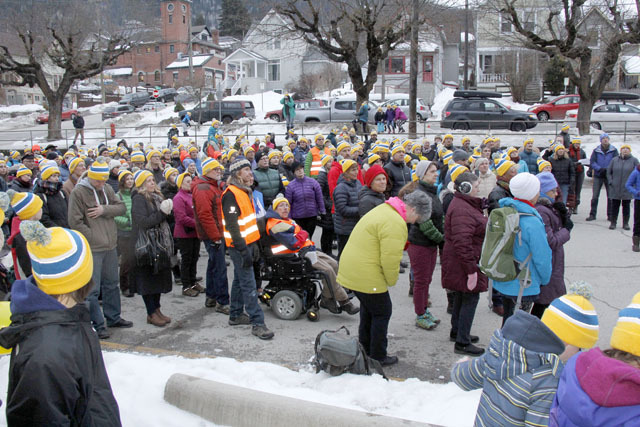 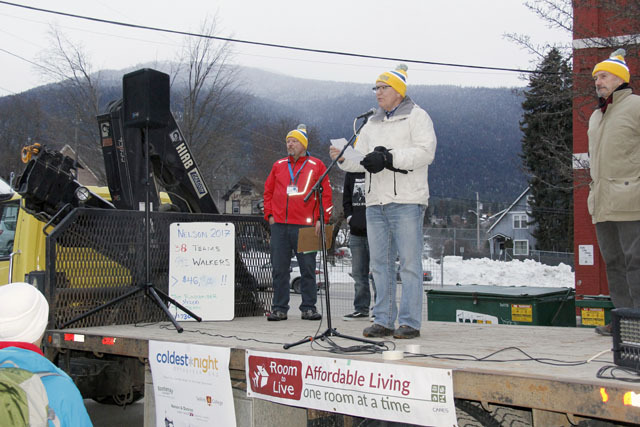 Outside the former Central School in Nelson, opening ceremony speakers Kootenay Columbia MP Wayne Stetski and Jenny Robinson of Nelson Cares saluted the more than 350 walkers who braved sub-zero temperatures to raise money for affordable housing in Nelson.